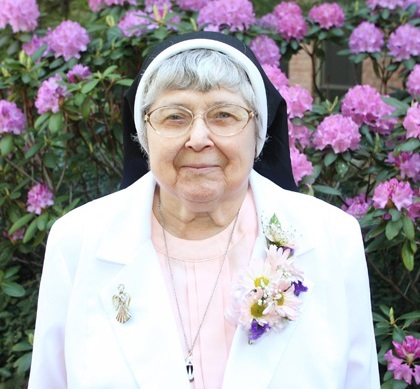 Dominican Sister of Peace Marcia Fleder (Irene) (91) died at St. Ann’s Hospital in Westerville, OH, on February 17, 2019. 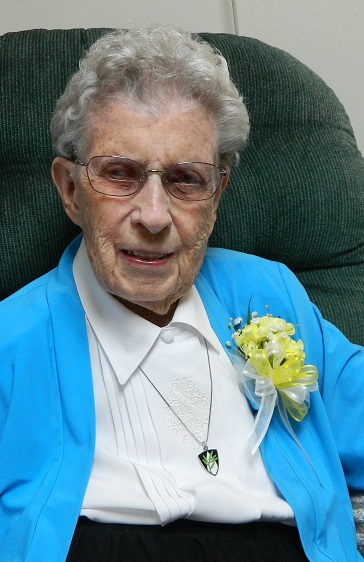 A native of Steubenville, OH, Sr. Marcia was born in 1928 to Adella Grabaskas and Frank Fleder. She entered religious life in 1947. 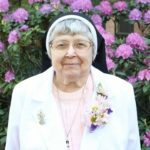 Sr. Marcia earned a Bachelor of Science in Education from St. Mary of the Springs, now Ohio Dominican University, in Columbus, OH. Sr. Marcia’s ministry reflects her love of young children and her delight helping them love to learn. She began teaching First Grade in 1948, and continued teaching young children for 45 years. She taught at schools in New York, Pennsylvania, and Illinois, and was chosen to open the St. Jane de Chantal Parish School in Chicago. She considered this one of her greatest works, and looked back on that time fondly. 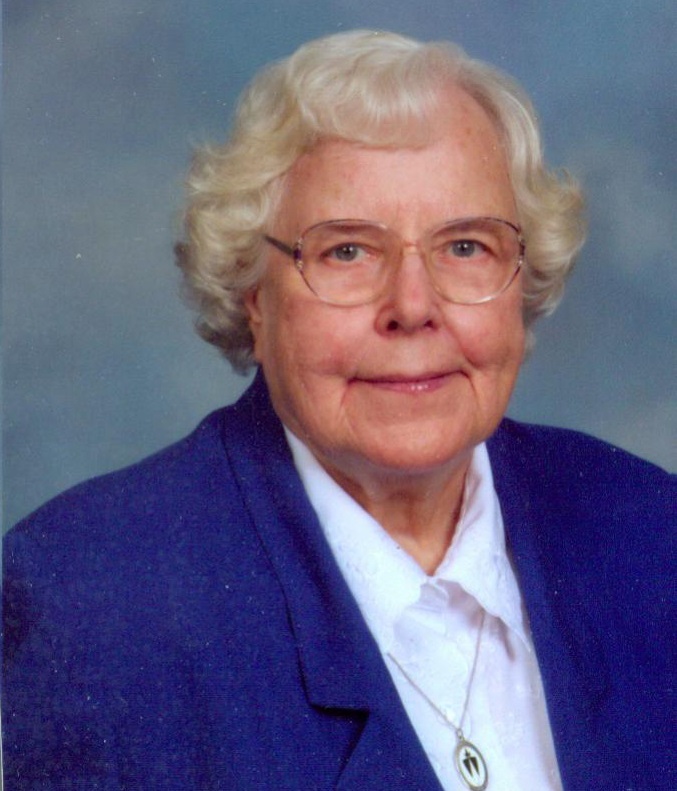 She also taught at St. Mary’s in Lancaster, St. Thomas in Zanesville, and St. Janes the Less and St. Gabriel’s in Columbus, all in the Columbus diocese, and Holy Rosary in Steubenville, OH. 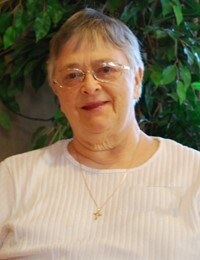 Sr. Marcia also trained altar servers in the various parishes in which she ministered. She was delighted to have trained the first female altar servers at Holy Rosary Parish in her home town of Steubenville, OH. 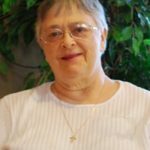 After she retired from teaching, Sr. Marcia continued to minister to the people of the Holy Rosary Parish as a volunteer at both the church and the local convent. She was a welcome visitor to the sick, taking Communion to those who were unable to go to Mass. She also assisted with the sacristy and acted as a lector. 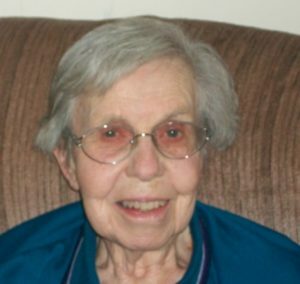 Her volunteer work continued at the Mohun Care Center in Columbus, where she served as assistant sacristan and coordinated bingo for Mohun residents. Her 71 years of service to the church concluded with her ministry of prayer and presence at the Mohun Health Care Center. She was preceded in death by her parents, Frank Fleder and Adella Grabaskas Fleder, her brothers, Frank and Charles Fleder, her half brothers, Rev. Peter Grabaskas and Stanley Grabaskas. She is survived by her sister-in-law, Marianne Fleder, nieces and nephews. A Vigil of Remembrance was held on February 21, 2019. The funeral liturgy was held at the Dominican Sisters of Peace Motherhouse Chapel on February 22, followed by burial at St. Joseph Cemetery by Egan Ryan Funeral Home.